of Death is Cardiac Attack. Sridevi was one of the most beautiful and talented actress of Bollywood. She was only 54 at the time of her death. She has survived by her Husband and two Daughters Jhanvi kapoor and , Khushi Kapoor. When News of Sridevi’s death got confirmed. Her fans and whole Bollywood is pouring their heart out on Twiiter and Social media. Sridevi has shown her versatility in Hindi and South Cinema. Her movies Mr India,Chandani, Nagina,Judai, Ladla. 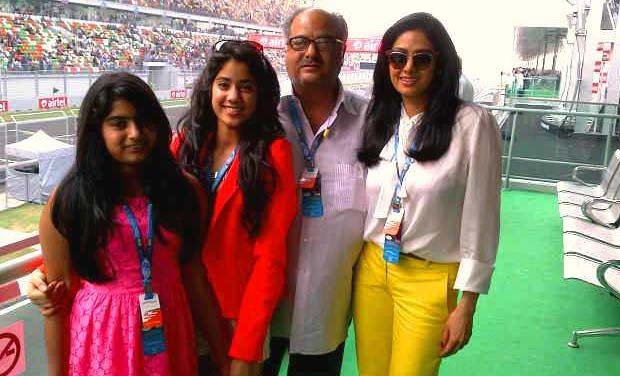 Sridevi was married to Boney kapoor and after her marriage she got a break to take care of her two beautiful Daughters. She came back with English Vinglish which became a master hit. It was a Shock to hear the news of Sridevi’ Death.